Mandi Dimitriadis, Director of Learning at Makers Empire, is a highly respected educator and speaker who works internationally with schools to help teachers develop Design Thinking, embrace maker pedagogy and cover Design & Technology Curriculum. She is a dynamic speaker, presenter, trainer and facilitator of preparing today’s students for tomorrow’s jobs and is considered an international specialist on Design Thinking and the use of 3D Design and 3D Printing in Education. Thought Leader specialising in Design Thinking, Maker pedagogy and Covering Design & Technology Curriculum. Expertise in creating curriculum, professional development, training and teacher resources. Works with schools in Australia, the USA and Europe. Provides an entertaining, interesting and convincing argument that “students should be taught Design Thinking skills in school” that can be specifically tailored to the client and audience. In her role at Makers Empire, Mandi leads teacher professional development and education programs and materials and facilitates state-wide implementation projects. Mandi is passionate about helping young people develop skills and dispositions that will help them to thrive, survive and drive innovation in the 21st Century. Mandi is currently focussed on the development of creative problem solving and design skills using 3D modelling software and 3D printing. 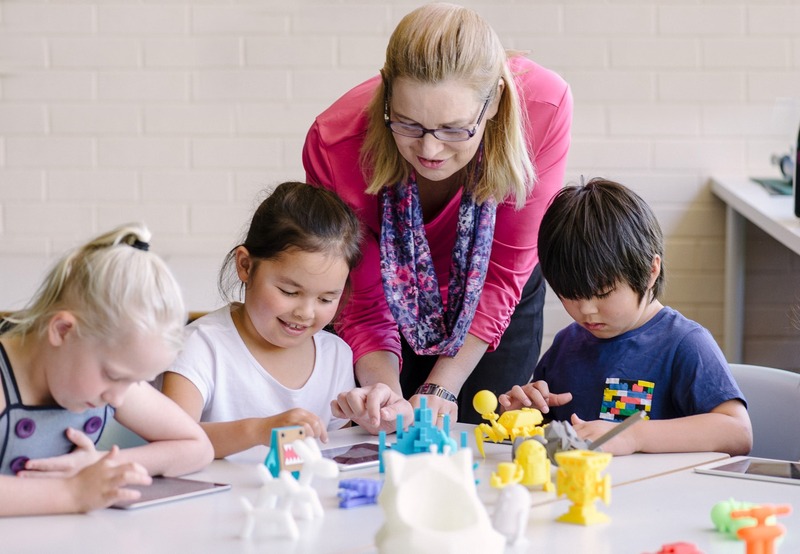 Mandi is currently leading a Makers Empire research partnership with Macquarie University, investigating the impact that maker pedagogy and design thinking have on student learning and teacher practice.